Odessa (укр. – Одеса, рус. – Одесса) is the largest city and regional center located on the Black Sea. Here you will see a huge cannon mounted in a special reinforced concrete nest on a high bank of the Black Sea. 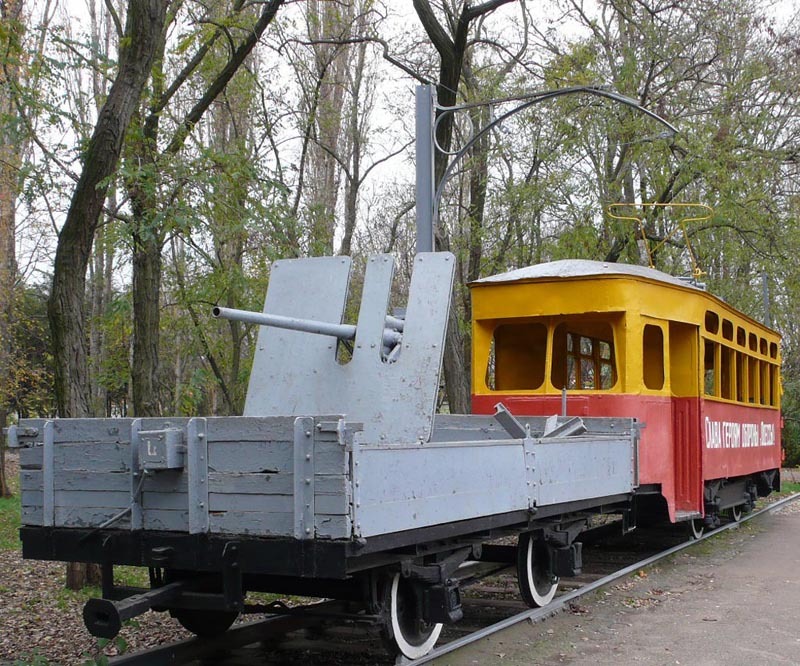 And also: submarine «Baby»; minesweeper; battle tank «NI» (abbreviation of na ispug – Fright), and even an armored train, battle tram (pushed a platform with the instrument) and a large collection of other military equipment. 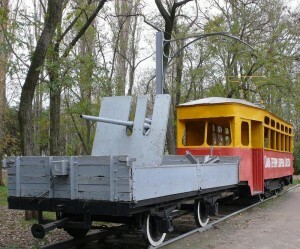 There is also a museum of defense of Odessa. This area obzhyvalasya since the emergence of the Greek settlements (VI cent. BCE. E.) on the Black Sea . In the XIV century. on the coast appeared Kachybey port , and when the Turks took it , it started building the fortress Yeni- Dunya ( New World ). 1789 p., During another Russo-Turkish War , Russian forces captured the fort and settlement. After Iasi Peace Agreement ( 1791), by decree of Empress Catherine II ( 1794) began to build up a new city. A year later it was called Odessa, which is derived from the ancient Greek settlement on the banks of Odessos Tiligul estuary. Managed the buildings of the city , Vice Admiral J. Derybas whom grateful posterity a monument (1994), two centuries and still respectfully keeping his name in the title of the main street. Odessa Development accelerated after the appointment of a new mayor A. Duke de Richelieu. At that time Europe was not the city that have developed so rapidly and that its mayor asked this rate . Odessa soon turned into a major port of the Russian Empire on the Black Sea. One of the first buildings of the city became a palace – licenses for hatshoho Polish Potocki family (now Museum of Art, 1810). 1817-1859 pp. Odessa had the right of free port , that was kind of a free economic zone XIX century. , Which were allowed duty-free sale and possession of foreign goods. In these times of a high hill above the sea shore faced architectural calling card of Odessa – the band structures of the Primorsky Boulevard ( 1820-1840 ). On either side of the short , elongated along the seashore boulevard buildings crowned Governor Vorontsov Palace (1829) and the first stock exchange of Odessa (1834 , now City Council ), which subsequently appeared before a monument to Alexander Pushkin ( 1888). From the city boulevard surrounded by a dense series of facades facing the sea of buildings, including noteworthy hotel ” London ” (1828) and the Palace of Princess Naryshkina (1830, now the Palace of Culture sailors ). In the center of Primorsky Boulevard homes interrupted semicircular area of ? ?space which form the present building sites ( 1830) and at ” St. Petersburg ” ( 1833). There is a monument to A. de Richelieu (1828) with a totally specious words – he led in 1805-1814 pp. Novorossiysk was right and the principles of the welfare of Odessa. From Monument to the sea fan governor dive steps 192 grand Potemkin Stairs (1841 ). At their foot building located Passenger Terminal (1967), substantially updated to the 200th anniversary of the city , when the composition of the complex dramatically and succinctly dabbed building of the hotel ” Odessa” . For the Promenade starting city blocks , the way in which , as in the honor guard , guarded by two magnificent buildings of the former English Club (1842 , now a museum of the Navy of Ukraine) and the Archaeological Museum (1883). A little away building the famous Odessa Opera (1887), monumental and venerable City Library (1906), Passage (1899) with a significant trade – loud passage , and many other architectural monuments of the city . Pushkin Street and Derybasivska , areas Moldavanka and Arcadia – this is the Odessa which its inhabitants glorified all over the world . This special spirit , language and way of thinking to understand and evaluate what can only be yourself. For this it is necessary to visit us at . The city’s nightlife can compete with that in Kiev, and Odessa’s restaurant scene is quite developed. A sports cafe with a sporting theme in evidence everywhere from the interior to cuisine: Buffalo is the obvious place to go to watch sport on TV. 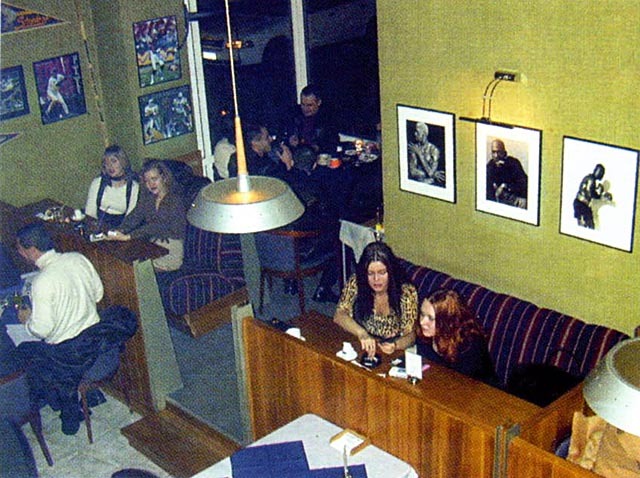 The themed interior is matched by good-value European and American cuisine. Food comes in generous portions, and Buffalo steak with barbecue sauce is the speciality of the house. A special discount system for regular visitors is available, and Buffalo 99 is famous in Odessa for great breakfasts. You will pay Hr 90 for an average a la carte dinner.